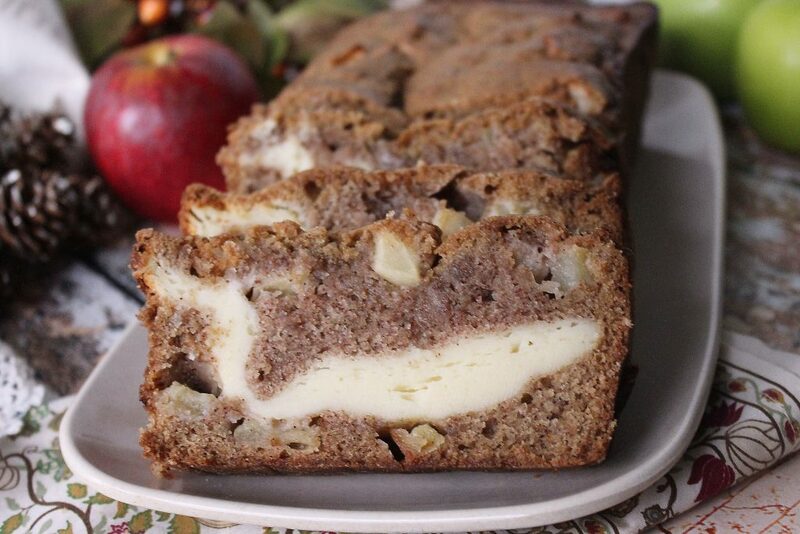 This apple bread is simply amazing and just oozes everything about the fall season. Growing up I didn’t eat apples in anything but a good old fashioned apple pie. I just don’t understand why my mom didn’t make more apple dishes when I was young. It is one of those things I need to talk to a therapist about now, LOL!! It wasn’t until I was an adult that I was introduced to how versatile apples can be . Now I am always experimenting with new ways to incorporate them into not only sweet but savory recipes but being from Louisiana this has been a fight in my house. My guys are pretty much meat , rice and gravy kind of guys but I am slowly converting them to having an expanded appreciation of food so won’t need therapy also, lol. The aroma of this bread baking even brings my teenage boys out of hibernating in their bedrooms. 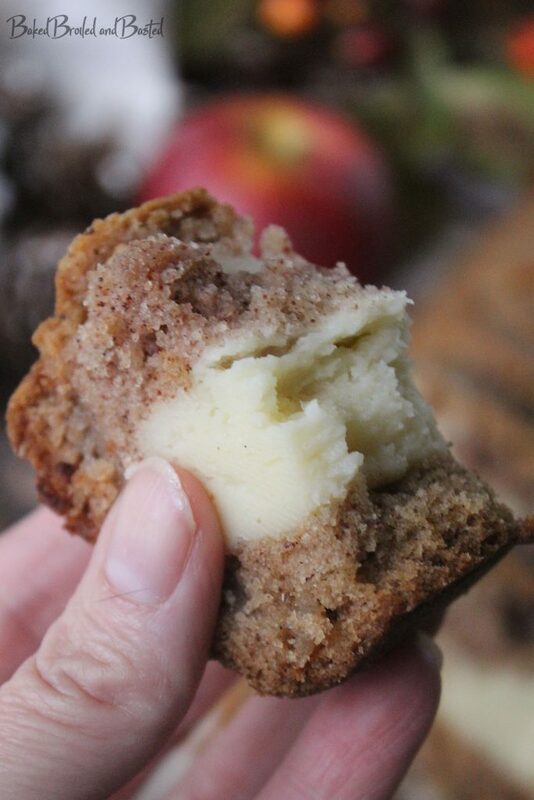 It seriously is the smell of fall, better than any of those candles you can buy.This is probably one of my favorite creations , it has tiny bits of apples in every bite and a cream cheese filling that is a surprise hiding in the middle. It isn’t overly sweet but sweet enough to be enjoyed as a dessert, breakfast or an afternoon pick me up snack. Pour yourself a cup of coffee and enjoy this little slice of fall heaven. Hi Debbie, I was half way into mixing this up when I realized the instructions say “add eggs to flour mixture”, but there are no eggs in the ingredient part of your recipe for the batter. I made a guess and went with two. Crossing my fingers as it bakes. I’ll let you know how it turns out. You guessed correctly .. thank you for pointing this out. I corrected it, I hope your bread come out good. It was delicious! Just had a piece with my coffee. I’ll be making it again soon! I am so glad you enjoyed .. it is one of my favs. 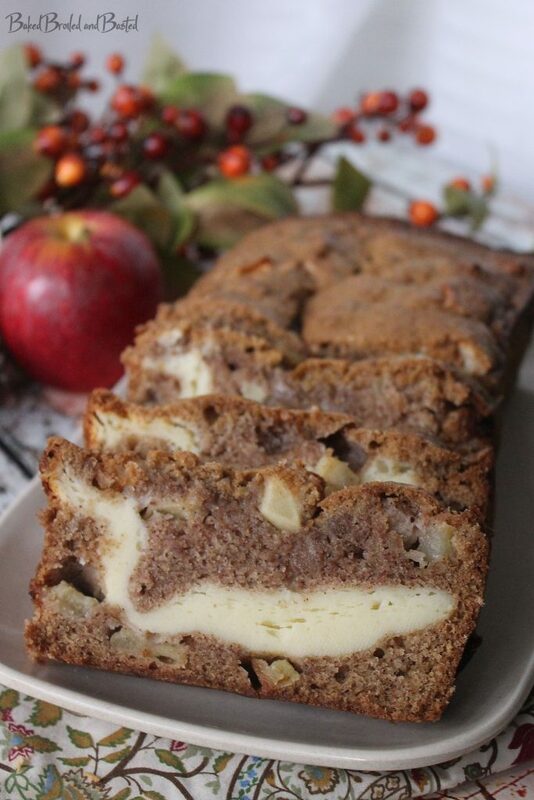 It is finally Apple season and time for fall goodies.